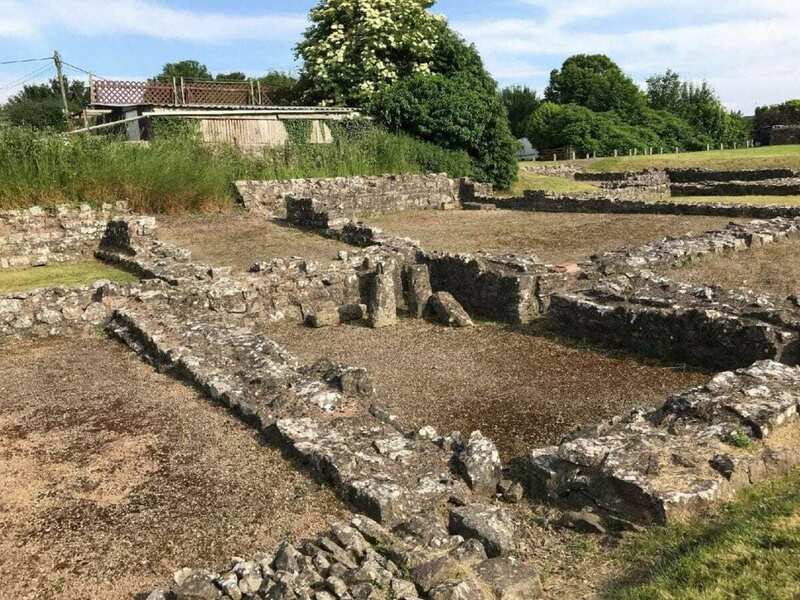 A charity which uses archaeology to help vulnerable people, including armed forces veterans, non-military uniformed services and disadvantaged groups, to integrate better into mainstream society is taking place at Caerwent village. 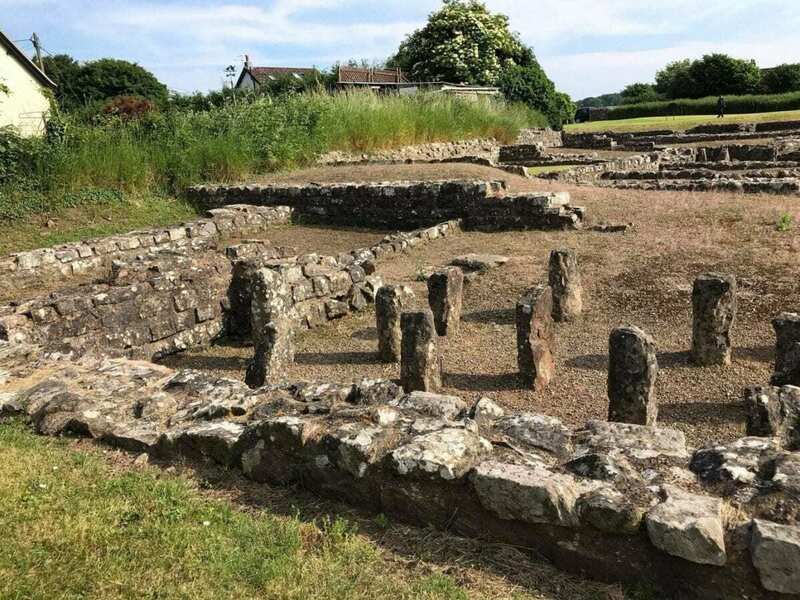 This site is one of the best preserved Roman towns in Northern Europe and the group will help solve a major archaeology mystery: what is the “Rich Mosaic” marked on a map within Caerwent Roman town in the 19th century, of which no record now survives? The intent is to excavate an area within Caerwent Roman town to explore a large Roman town house with intact Mosaics. If they can be uncovered, it will be the first time in 160 years they have been seen and will further understanding of the Roman presence. The privately owned site covers an area of approximately two acres and is a combination of grass and pasture and a house dating to the 19th century. The front part of the site, comprising mainly lawn, is not a scheduled historic monument and is the focus of the works. The pasture and the area to the rear of the house are scheduled and will not form part of the excavation. Archaeological interest in the site arises primarily as it is part of the Roman civitas (tribal capital) of Venta Silurum (Caerwent). At the time of the Roman conquest, south-east Wales was inhabited by the Silures, a tribe described by the Roman historian Tacitus. Their territories included the counties of Gwent, Glamorgan, and part of Powys. Their settlements, ranging in size from small farmsteads to large sites, covered many hectares such as Llanmelin just over a mile north-west of Caerwent. They were fortified and often located on coastal promontories or inland spurs. Extensive excavations within the civitas, undertaken during the late 19th and early 20th century, revealed that the earthwork defenses originated during the late 2nd century AD and were reconstructed in stone during the late 3rd century. The stone defenses were reinforced by semi-circular bastions on the northern and southern sides during the 4th-century and these are still visible today. The excavations also indicated the presence of Roman suburbs beyond the town walls, although the locations of any cemeteries associated with the settlement have yet to be identified. By the late 70s AD, a settlement was beginning to develop at Caerwent, sited on a slight rise in the middle of a broad open valley of prime agricultural land two miles from the River Severn and astride the main Roman road from Gloucester (Glevum) to Caerleon (Isca). Little is known of the character of this early settlement. However, during the late 1st and for much of the 2nd century AD, the town is unlikely to have consisted of more than an irregular, unfortified sprawl of buildings adjacent to the road. The town quickly became a market centre for agricultural produce and other natural resources from its rural hinterland. Later, around the mid-2nd century, the Silures were granted a form of self-government and Caerwent became their administrative centre and capital. 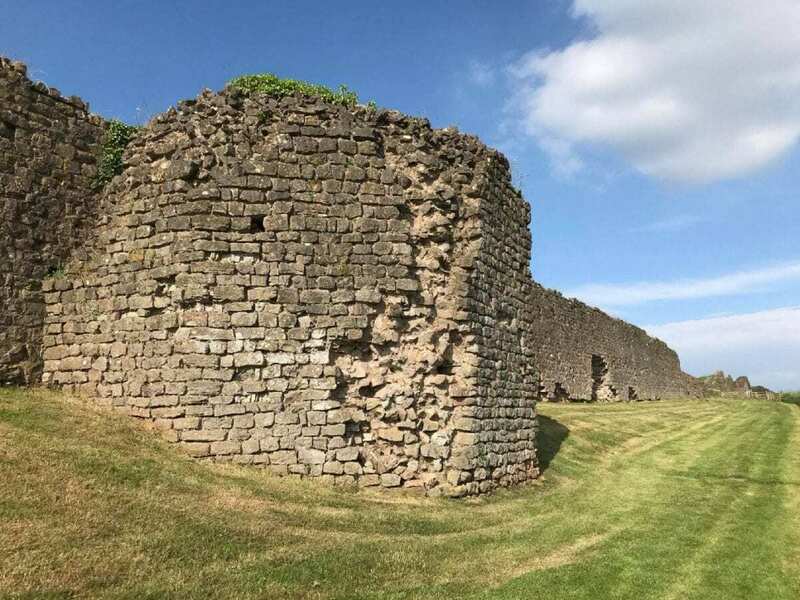 Although it is difficult to estimate the population with any accuracy, it is likely that Caerwent boasted between 2,400 and 3,800 inhabitants during the later 3rd and 4th centuries AD. The reasons are unclear but by the late 4th century AD, Caerwent was in decline, with some of its high-status houses abandoned. Limited activity seems to have continued into the 5th century, but much of the town was ruined by this time. Although Roman remains in Caerwent were mentioned by the many antiquarian ‘tourists’ visiting the area during the late 18th and early 19th centuries, archaeological excavations only began in1855 when Octavius Morgan revealed part of a small bath-house and another building in the south-east corner of the town. It is these excavations we believe our building was part of. The ‘Services Archaeology and Heritage Association’ (SAHA), part of Solider On!, a registered charity (1136567) whose President is Lord Frederick Windsor and counts actor, Laurence Fox and historian, Dan Snow, amongst its Ambassadors, has organised the project in collaboration with students from Liverpool John Moores University and has invited other organisations to benefit from this work. This project gives veterans, members of non-military uniformed services, some of whom have complex physical and mental health needs, along with members of the local community who come from disadvantaged backgrounds and archaeology undergraduates, the opportunity to learn a series of skills including excavation, land survey, drawing and mapping techniques and building recording on a site of national importance. Additionally, during the project, a personal development programme will be delivered to help participants plan and manage their futures. This includes preparation to find meaningful opportunities in work, education or volunteering. The excavation at Caerwent will start on 23 July and run until the 1 August 2018. Additionally, it provides a programme that helps prepare participants, through training and experience, to make considered choices on education and employment”. “The key to the success of the project is that the participants find themselves the main focus of everything we do. They will engage in all the different activities, from digging to surveying, photography and finds processing. We give them the responsibility to ensure that the key tasks expected to be carried out are achieved. This builds the element of teamwork and comradeship that they tell us they have missed. Megan, 14, from Yorkshire who lost her mother last year due to cancer, said. death of my mother. I had applied to go on digs but had been turned down as too young. To be given the opportunity to take part in this excavation is a dream come true and has given me something to look forward to over the past few months”. Karl, from Liverpool who spent 10 years in the RAF and is registered blind said.